The christening gown is usually one of the first things that comes to mind as you are planning this sacred celebration for your baby. Everybody’s focus during this special occasion will be on your precious little one so you want him or her to look beautiful from head to toe. A christening gown is usually the selected attire for baby girls and can also be worn by baby boys unless a suit or romper is preferred. Gowns are customarily made out of a white fabric such as silk, cotton, satin or organza. White is the chosen color since it symbolizes innocence and purity. Because the christening gown you choose might very well become a family tradition that will be worn by future generations, be sure you select an heirloom quality gown. Another consideration will be the time of the year during which the baptism or christening will take place. Appropriate sleeve length and fabric thickness should be chosen for the season. After all the basic decisions are made, remember to let your heart do the shopping and allow yourself to fall in love with the gown you ultimately choose for your baby. If you are planning to save your baby’s christening gown as an heirloom, you might want to consider purchasing a special gown preservation bag in addition to taking the proper steps for cleaning and storing it. Now comes the truly fun part, the accessories. Here is a list of just some of the christening and baptism accessories you might want to add to your baby’s outfit. Bonnet – A christening gown is only truly complete with the wearing of an adorable bonnet, perhaps one with a cross embroidered on it. Some styles are even designed to easily become her future wedding handkerchief. Shoes and Socks – To truly have your baby looking beautiful from head to toe, you’ll need shoes and socks that are meant especially for this occasion usually showcasing a cross design. Blanket or Shawl – This will not only complement your baby’s outfit but will also add warmth. To make it a keepsake, some styles offer the option of personalizing. Jewelry – It’s amazing the tiny infant sizes available for necklaces, bracelets, earrings and rings. A cross necklace, for instance, will accessorize the gown and make a treasured keepsake. Bib – A personalized bib is essential for protecting the gown from stains so it can be properly preserved. Towel – An embroidered baptism towel is another accessory. It might be able to be used during the actual ceremony and then kept as a souvenir. This is a once-in-a-lifetime occasion for your baby so you’ll want to devote attention to every last detail from their christening gown to the accessories so he or she looks like an angel for all the photos that will be taken that day and treasured for years to come. 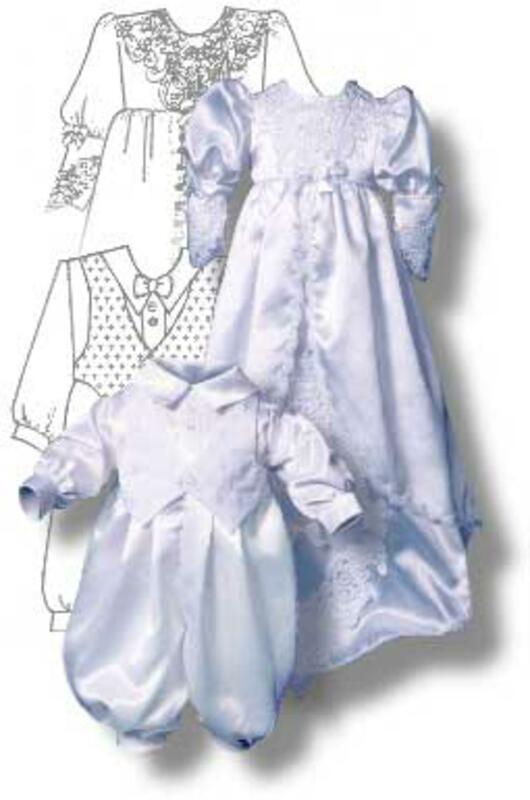 Baby Girl Christening Dresses are way more popular in these days. Very informative post. Thanks for sharing it.